Atmos Jump Dry Herb Vape Pen Black | BUDK.com - Knives & Swords At The Lowest Prices! Must be 18 years or older to use this item. 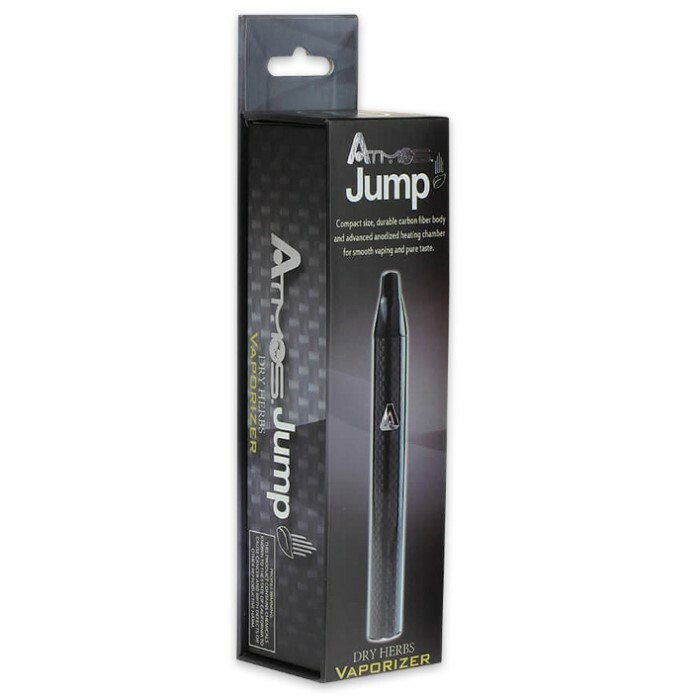 If you’re looking for an easy-to-use, no-hassle dry herb vape pen, then you have to have the Jump Dry Herb Vape Pen. 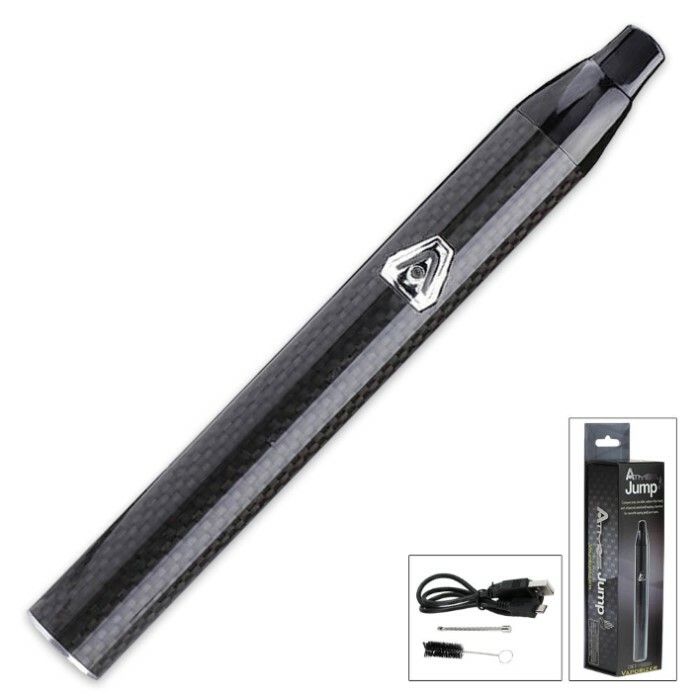 A carbon fiber housing makes it incredibly durable and long-lasting and the lithium ion battery gives you powerful performance every time. It has a hard anodized heating chamber that will evenly vaporize the dry herbs. This vape pen is smooth. It has a micro USB charger and comes with a packing tool and cleaning brush.